Listed as endangered under the Endangered Species Act and designated as depleted under the Marine Mammal Protection Act. IUCN listed as critically endangered. Although it was only discovered in 1955, without concerted action, the vaquita could be extinct within five years. 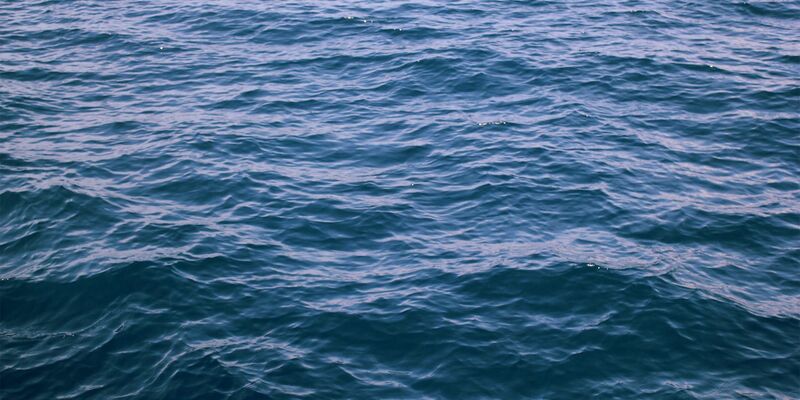 Northern Gulf of California, Mexico. 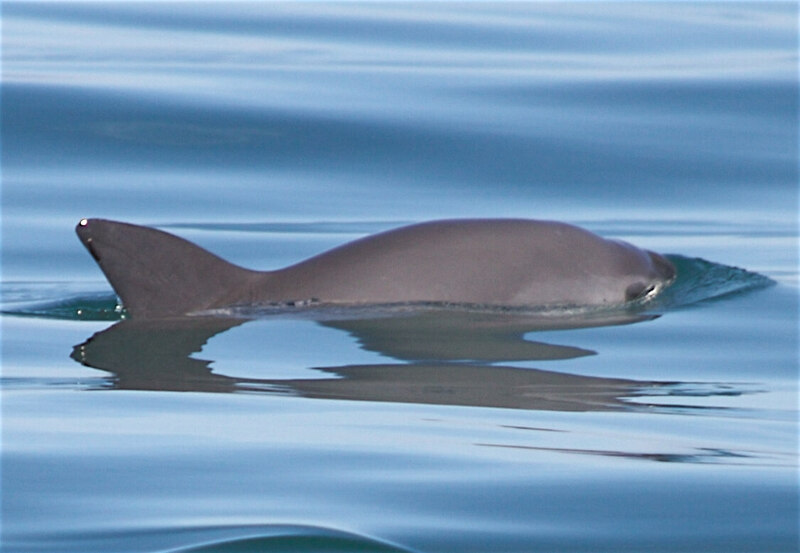 The tiny vaquita porpoise is the world’s most endangered marine mammal. Its numbers are decreasing with fewer than 30 remaining. Vaquitas die from entanglement in illegal gillnets which are intended to catch totoaba, in a lucrative illegal fishery that serves an illegal trade of swim bladders to China. Gillnet use has been banned in legal fisheries for shrimp and finfish, which are primarily oriented to markets in the United States. 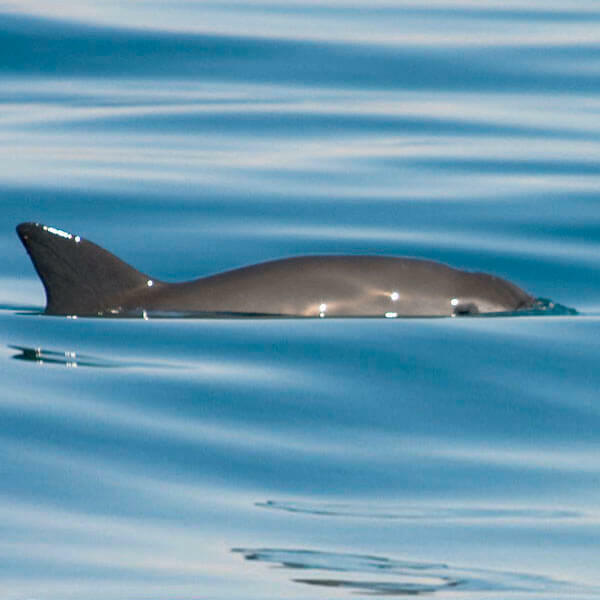 The tiny vaquita porpoise is the world’s smallest and most endangered cetacean species. This species split from its closest taxonomic relatives 4.8 million years ago and is now endemic to a small range (4,000 km2) in the turbid waters of the northern Gulf of California, Mexico. The vaquita is now on the brink of extinction. The International Committee for the Recovery of the Vaquita (CIRVA-8) estimated that, as of November 2016, only approximately 30 vaquitas likely remained. 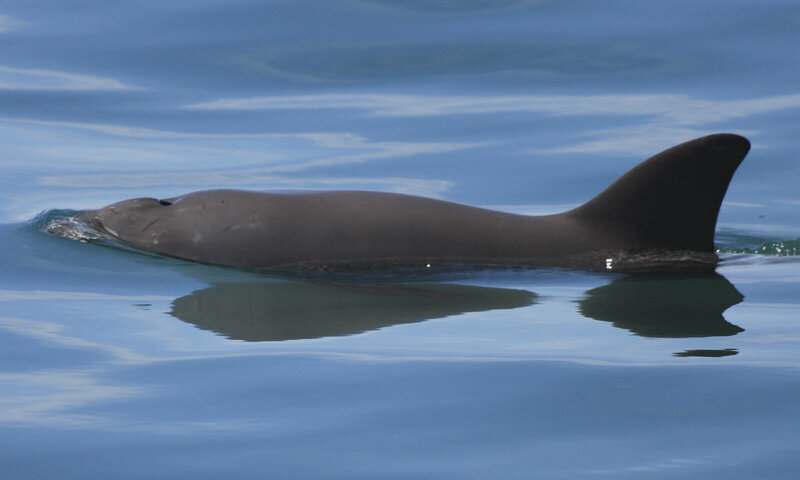 Analysis of the 2016 Acoustic Monitoring Program data showed that almost half of the remaining vaquita population was lost between 2015 and 2016 (a 49% annual decline). The average annual rate of decline between 2011 and 2016 is now estimated to be 39%, corresponding to a population decline of 90% over this five-year period. As reported by CIRVA-9, which met in April 2017, six additional dead vaquitas have been found since November 2016 three of which showed lesions indicative of net entanglement. The culprit is an illegal gillnet fishery for totoaba (Totoaba macdonaldi), a large and endangered fish species also endemic to the northern Gulf of California, which continues despite strong enforcement efforts by Mexico. Six of nine dead vaquitas encountered since March 2016 are confirmed to have been victims of gillnet entanglement. This fishery, which involves large-mesh gillnets exceptionally lethal for vaquitas, is driven by the high price and demand for totoaba swim bladders in China. In May 2016, CIRVA-7 noted that many totoaba nets are abandoned in the range of the vaquita and called for efforts to find and remove such gear. 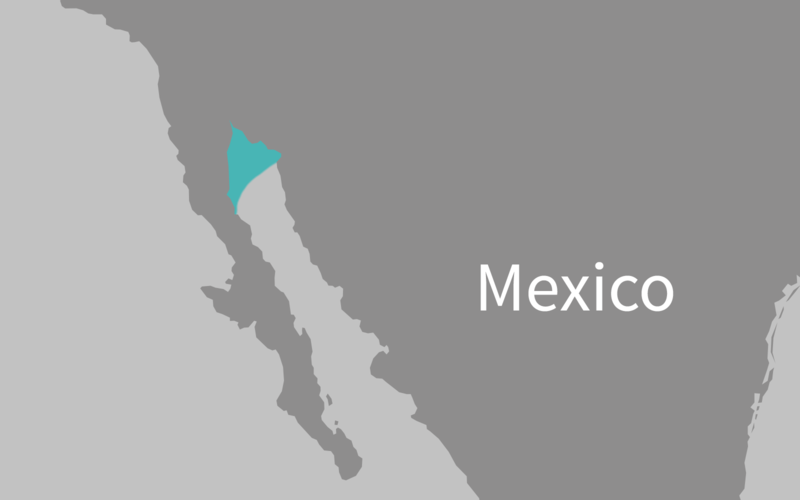 In response the Government of Mexico established a program to remove derelict and illegally set fishing gear from the Upper Gulf of California. CIRVA-8 applauded this multi-institutional partnership for their outstanding and ongoing efforts to address this threat to the vaquita, totoaba, and biodiversity of the region. However at CIRVA-9 the Mexican Navy and Sea Shepherd Conservation Society reported that their collaborative monitoring and enforcement efforts have continued to find rampant illegal fishing with the gillnets that entangle both totoaba and vaquitas. Given the extreme concern over the safety of vaquitas in their natural habitat, CIRVA-8 recommended that the Mexican Government institute a carefully planned, step-wise attempt to determine whether some vaquitas can be caught and held in a temporary sanctuary until they can be safely returned to a gillnet-free environment. CIRVA-9 concluded that given the recent deaths of at least six animals since CIRVA-8 and the high levels of illegal fishing activity in the Upper Gulf, the only hope for the survival of the species in the short term was to capture vaquitas and bring them into human care. Therefore, CIRVA strongly endorsed the Vaquita Conservation, Protection and Recovery (VaquitaCPR) plan and recommended that as many individuals as possible be captured in October and November 2017 and held until the Upper Gulf is safe for their return. There is grave concern that the vaquita will follow the Yangtze River dolphin (baiji) and become the second cetacean species brought to extinction in the 21st century if further action is not taken to save the species. VaquitaCPR undertook an ambitious field season, based out of San Felipe, Mexico from 10 October to 10 November 2017. A team of 65 scientists from nine countries was on the water for five full days and eight partial days during the operational time frame as dictated by weather. 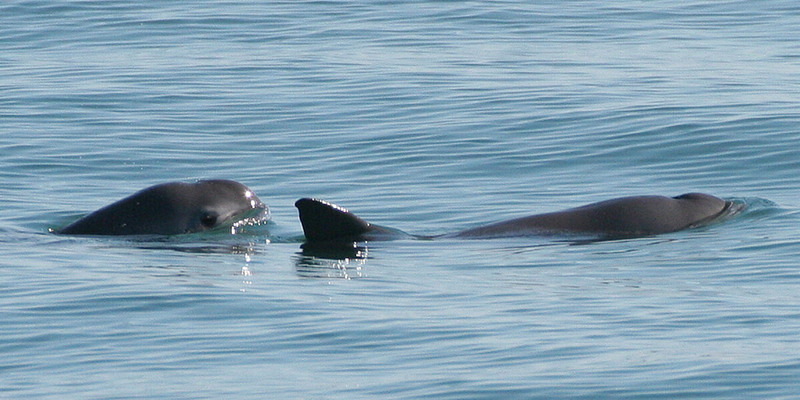 Vaquitas, in groups of one to three, were seen on eight of these days. Catch nets were set on three days and two vaquitas were captured during field operations. As noted on the VaquitaCPR website, “The first animal, an immature female, was released after veterinarians determined she was not adapting to human care. The second animal, a mature female, that wasn’t pregnant or lactating, was released after not being able to adapt to human care at “El Nido.” During the second release emergency medical care was required. Despite heroic efforts by the veterinary team to save the animal’s life, she did not survive.” The possible loss of an animal during this ambitious conservation attempt was anticipated as a risk, and weighed against the loss of more than 6 animals in the wild to gillnet entanglement in the previous 9 months. Following the field season, the Mexican government, VaquitaCPR, and CIRVA evaluated next steps. In early December, CIRVA conducted its 10th meeting at the Southwest Fisheries Science Center in La Jolla, California and released the CIRVA-10 report. Their main conclusion was that the status of the vaquita continues to worsen and that no more than 30 animals remained by mid-2017. Further, the committee accepted the conclusions of the VaquitaCPR team and an independent review panel that additional rescue efforts should be suspended. While it is very disappointing that the capture attempt did not emerge as an immediate viable conservation option to protect vaquitas from the scourge of illegal totoaba fishing, a great deal was learned about vaquitas, their response to handling, and their habits and persistence in the wild. Moving forward, CIRVA recommended to the Government of Mexico that the first and immediate conservation priority must be to strengthen enforcement efforts and fishing regulations, including a complete ban on gillnet possession and use throughout the range of the vaquita. The CIRVA team also issued a specific recommendation to implement ‘enhanced’ enforcement during this year’s totoaba season (December 2017-May 2018) in areas of vaquita and totoaba gillnet overlap. Further information can be found here. 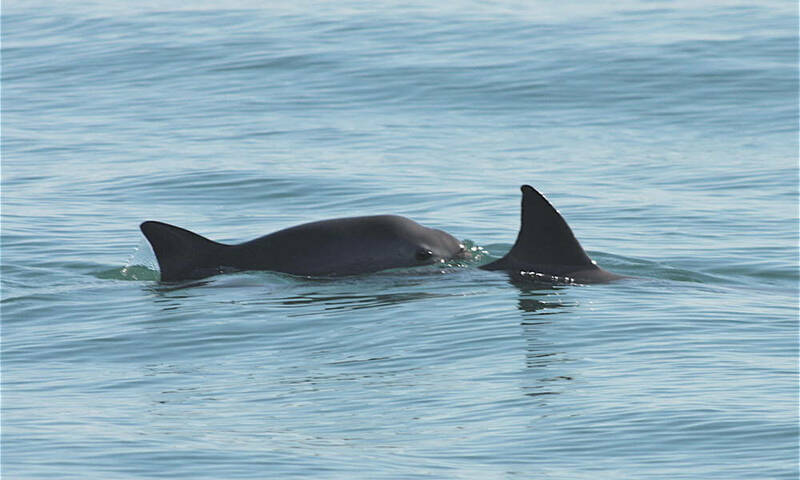 One of the real advances was the use of underwater acoustic monitoring to detect vaquitas on a daily basis and provide information for the visual search team. 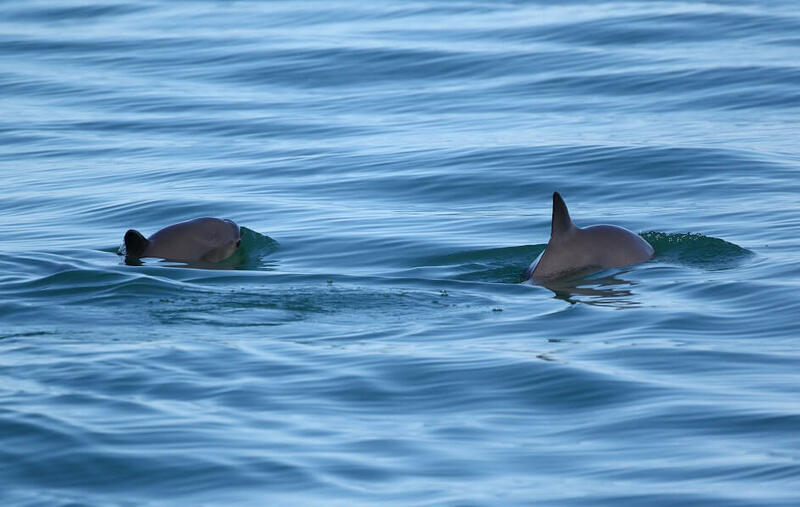 This was built on the annual program of acoustic monitoring that has informed estimation of vaquita abundance over the last decade. It is hoped that this real-time monitoring can be continued and enhance to document the presence of vaquitas. On April 16, 2015, the President of Mexico announced new measures to protect vaquitas, which have been largely implemented by the Mexican Navy and other agencies in a strong show of commitment. These include expansion of the protected area for vaquitas to encompass their entire range, a two-year ban on gillnets within this area, concerted enforcement, support for alternative fishing methods, and compensation to the fishing communities affected by the ban. The measures follow, to a large degree, the recommendations of CIRVA-5 which called upon the Government of Mexico to take immediate action to eliminate gillnets from the vaquita’s entire range and to accompany this measure with strong enforcement action. However, the delay in implementing protective measures, the continuation of intensive gillnet fishing for shrimp and finfish in the months prior to the ban and the difficulty over the past two years of fighting rampant illegal totoaba fishing, which is often conducted at night by highly organized criminal elements, have prevented the species from recovering. In June 2017, the Government of Mexico announced a new permanent ban on the use of gillnets in the shrimp and finfish fisheries of the Upper Gulf of California to replace the two-year gillnet ban. There is still concern that the fishery for corvina, which is still allowed, may provide cover for illegal totoaba fishing. The Marine Mammal Commission supports the efforts of the Government of Mexico to address the threat to this critically endangered marine mammal – incidental mortality in illegal and legal fisheries bycatch and it has a long history of providing funding and international scientific and technical expertise to aid those efforts. The Commission has supported the meetings of the international recovery team (CIRVA) and international efforts to assess vaquita numbers and trends through acoustic monitoring, and it is committed to continuing to assist Mexico in its efforts to prevent the vaquita’s extinction. Commission staff serve as advisors to the VaquitaCPR program. Commissioner Frances Gulland, Scientific Advisor Randall Wells, and International and Policy Program Director Peter Thomas are on the leadership team for VaquitaCPR and participated in all aspects of planning and fieldwork. The Commission continues to support efforts to develop, test, and introduce vaquita-safe fishing gear and methods, increase the effectiveness of protected areas, strengthen fisheries enforcement and trade controls, and develop market incentives for vaquita-safe products. The Commission is taking a leadership role, in collaboration with other U.S. government and Mexican agencies, to explore ways to provide communities in the northern Gulf of California with financially, socially, and ecologically viable alternatives to the gillnet fishing that is currently driving the vaquita toward extinction and to build markets for seafood caught without harming vaquitas. The Commission also supports scientific evaluation of trends in the vaquita population, including statistically rigorous assessment of the effectiveness of measures taken by Mexico to slow the species’ decline. The continued guidance of the international recovery team (CIRVA) will be particularly important for helping to meet this objective. The Commission also provided written testimony to the President’s Advisory Council on Wildlife Trafficking with proposed actions and recommendations for the recovery of vaquita. Vaquitas are threatened by entanglement in gillnets used illegally to catch the endangered totoaba, a fish taken for its swim bladder which is sold in a lucrative illegal trade to China. Use of gillnets for the shrimp and finfish fisheries is currently banned but there is concern that they could be allowed again when that ban expires in April 2017. On April 16, 2015, the President of Mexico announced new measures to protect vaquitas. These include expansion of the protected area for vaquitas to encompass their entire range, a two-year ban on gillnets within this area, serious enforcement, support for alternative fishing methods, and compensation to the fishing communities affected by the ban. The Commission strongly endorses the repeated recommendations of the International Recovery Team that the two-year ban be made permanent in order to save the species. Following acoustic and visual surveys in 2015 and acoustic monitoring in 2016, which found that fewer than 30 vaquitas remain, the long-term acoustic monitoring program that detects the presence of vaquitas from their echolocation clicks must remain in place to provide an index of population decline or increase. The program to remove derelict and active totoaba gear in the range is receiving broad support from the Mexican government and private sector groups. The presence of illegal totoaba fishing, with apparent support from organized crime has serious security implications for conservation efforts on the water in the upper Gulf of California. The VaquitaCPR program (see Species Status section) is a carefully planned, step-wise attempt to determine whether some vaquitas can be caught and held in a temporary sanctuary until they can be safely returned to a gillnet-free environment. In light of the President of Mexico’s continued commitment to strong measures to protect the vaquita, the Commission provided financial support for development and use of alternative fishing methods that do not entangle vaquitas and for the development of markets and market streams to sell products caught with such gear. The Commission supports continued acoustic monitoring of this species has encouraged and supported more frequent and regular meetings of CIRVA. Additionally, the Commission will continue to press for strengthening the current permanent ban on gillnets to remove loopholes such as the use of gillnets in the corvina fishery and for continued removal of abandoned gillnets from the range of the vaquita. As noted above, the Commission is a partner in efforts to find and catch vaquitas to be held in a temporary sanctuary until they can be safely returned to a gillnet-free environment.